Submitted by Jason Horton on Apr. 4, 2018.. The Boss TU-10 is well regarded by guitarists for the strength and size of its clip which will fit onto even the largest headstocks. It allows you to select your reference pitch and has a chromatic mode which allows for alternative tunings. Many guitarists have praised the clip-on mechanism for being strong and working well on all types of headstocks. Users have reported that it works well on electric, acoustic and nylon string guitars. The display was also regarded as being easy to read on stage in any type of lighting. There were quite a few guitarists who said they've tried many clip-on tuners and like this one the best. There were a small number of users who reported that said it wouldn't 'settle' on a pitch for them but they didn't indicate exactly what type of instrument this happened on - it doesn't .seem to be a general problem for guitar. 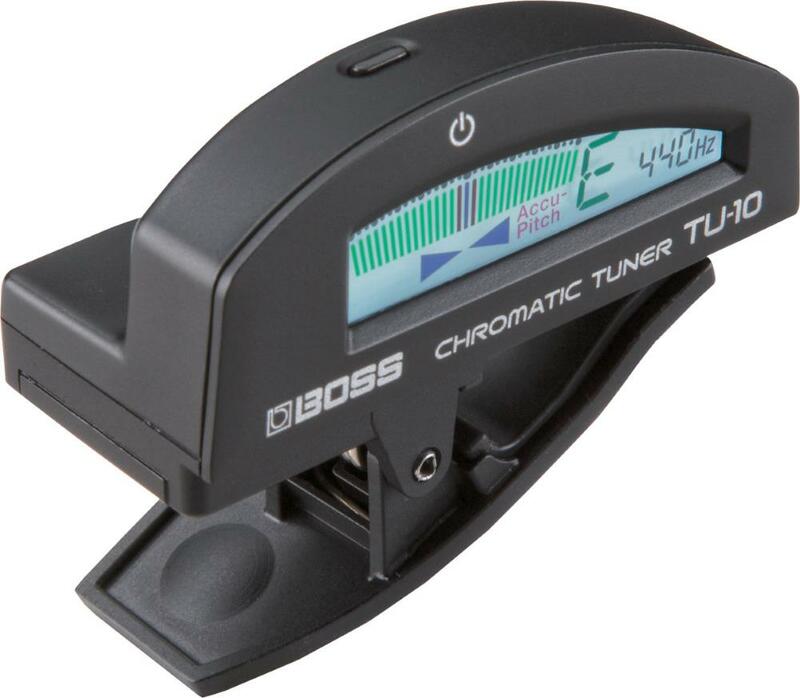 Boss has a strong reputation, earned over decades, for producing robust tuners that stand the test of time which is why they're able to command higher prices than many of their competitors. We were recommending the Boss TU-10 until April 2018 however due to a reduction in the size of our recommended list it didn't quite have high enough ratings to remain on the list which you can see at The Best Clip On Tuners.